Marchionne: "I sincerely hope they don't create obstacles." MILAN (Reuters) -- Fiat CEO Sergio Marchionne, the veteran dealmaker who has just wrested full control of Chrysler Group from its union retirees, is about to unveil his next trick: moving the group's 115-year-old headquarters out of Italy. While Marchionne has said a New York share listing is on the table, he is likely to base the new company in Europe under a tax-efficient UK domicile, sources close to the company say. He is treading carefully in the United States and Italy, whose governments have bailed out Chrysler and funded temporary layoffs at Fiat. He is aware that Rome may intervene. "I've seen weirder things happen," Marchionne told reporters at the Detroit auto show earlier this month. "So I sincerely hope they don't create obstacles." Fiat is taking full control of Chrysler after striking a $4.35 billion deal to buy the 41.5 percent it didn't already own from a union retiree health care fund. The deal, which closed on Jan. 21, creates the world's seventh-largest automaker with operations in 40 countries and brands including Alfa Romeo, Dodge, Ferrari, Jeep and Maserati. A neutral country base could help anchor the merger. Previous owner Daimler's attempt to run Chrysler from Germany ended in failure and a $29 billion loss. But there are tax-related incentives too. "Where the actual production of cars is not carried out in the UK, the reason for coming here would be largely a tax one," said Chris Morgan, partner and head of tax policy at KPMG. Registering the group in the Netherlands with a UK tax domicile -- as Marchionne did with the spunoff CNH Industrial -- could ultimately deprive the United States and Italy of tax revenue on some overseas earnings, experts say. Britain has steadily cut its corporate tax rate -- to a proposed 20 percent in 2015 -- and reduced the tax burden on profit from foreign subsidiaries in low-tax jurisdictions. 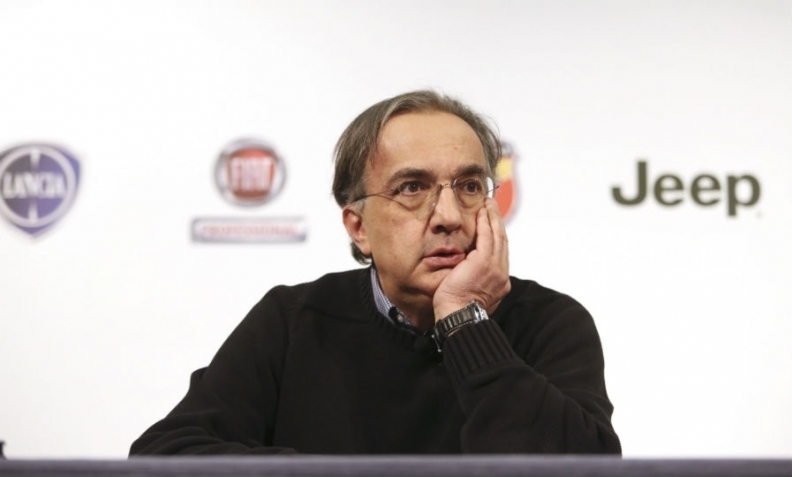 Marchionne, 61, a lawyer and tax accountant by training, is due to present his proposals to Fiat's board on Wednesday. The company declined to comment. Created in a 2013 merger between Fiat's former tractor division and U.S. rival CNH, the company is registered in the Netherlands, tax-resident in Britain and traded primarily in New York, with a secondary share listing in Milan. Unlike Italy, Britain has no withholding tax on dividends from foreign operations. One beneficiary would be Fiat's founding Agnelli family and its Exor holding. Any shift from Italy is bad news for the fragile government, struggling to protect jobs. Rome currently helps to pay the equivalent of 11,000 Fiat workers to stay at home. But public officials have so far been careful to avoid antagonizing the country's biggest manufacturing employer. More than the headquarters decision, recent pledges to invest billions in production demonstrate Fiat's "deep Italian roots," Industry Minister Flavio Zanonato said last week. Marchionne has kept the door open to a U.S. base, telling the Detroit home crowd the city was "especially relevant". The United States lost $1.3 billion on Chrysler's 2009 bailout -- which saw its Treasury take a 9.85 percent holding before Fiat acquired 20 percent in a cash-free transaction, followed by further discounted purchases. That has proved politically charged. As the government sold its last shares in 2011, Republican Congressman Darrell Issa accused President Obama of having "sold out an American icon". Marchionne has dismissed tax considerations as immaterial, insisting the impending headquarters move and New York listing preference reflect "access to funding" above all else. Profits are taxable where they are made, with "no impact" on Italian tax revenue, he said. Tax credits for past losses mean Fiat faces no domestic tax for years. To pay less tax, manufacturers can nonetheless adjust the amounts of total profit attributed to the production, export or sale of each vehicle in different countries. "For production staying in Italy they can reorganize the value chain to reduce the domestic tax burden," said Carlo Garbarino, tax specialist at Milan's Bocconi University. Some companies also use royalties to shift profit to lower-tax jurisdictions, or high-interest loans between subsidiaries -- a practice encouraged by the United Kingdom's territorial tax approach. Untaxed interest payments can claim half a U.S. division's profit and a similar proportion elsewhere, Morgan said. "That's why the UK is now a good place to have the head office," the KPMG accountant added. "Any benefits you get from operating overseas in a low-tax country are not clawed back."